For some reason having to do with the medieval French, the scoring system for tennis is very strange. In actuality, the game is easy to explain: to win, you must score at least 4 points and win by at least 2. 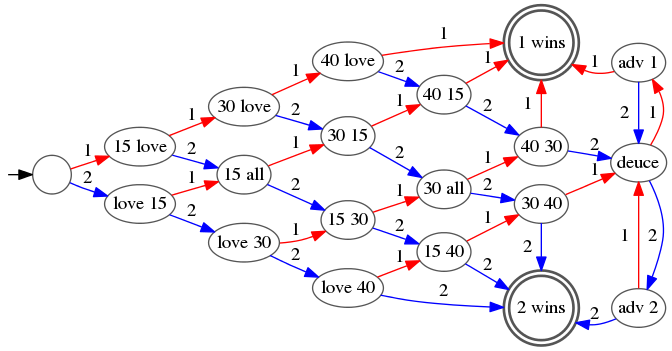 Yet in practice, you are supposed to use strange labels like "love" (0 points), "15" (1 point), "30" (2 points), "40" (3 points), "deuce" (3 or more points each, and the players are tied), "all" (players are tied) instead of simply tracking points as numbers, as other sports do. 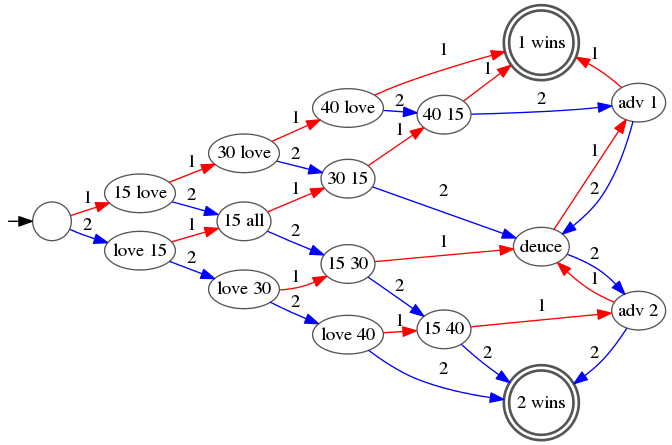 The game begins in the left-most (unlabeled) state, and then each time either player 1 (red) or player 2 (blue) scores, you advance to the corresponding state to know how to say the score properly in tennis-speak. In each state, player 1's score is first followed by player 2's; for example "40 30" means player 1 has scored 3 points and player 2 has scored 2 and "15 all" means both players have scored once. "adv 2" means player 2 is ahead by 1 point and will win if s/he scores again. There are only 20 states, and there are cycles which means a tennis game can in fact go on indefinitely, if the players pass back and forth through the "deuce" (translation: game is tied) state. This FSA is correct, and if you watch a Wimbledon match, for example, you'll see the game advance through precisely these states. Yet for an FSA, merely being correct is not good enough! It should also strive to be minimal, and surprisingly this FSA is not: if you build this Automaton in Lucene and minimize it, you'll discover that there are some wasted states! This means 20 states is overkill when deciding who won the game. Specifically, there is no difference between the "30 all" and "deuce" states, nor between the "30 40" and "adv 2" states, nor between the "40 30" and "adv 1" states. From either state in each of these pairs, there is no sequence of player 1 / player 2 scoring that will result in a different final outcome (this is in principle how the minimization process identifies indistinguishable states). For example, from "15 30", if player 1 scores, you go straight to "deuce" and don't bother with the redundant "30 30" state. Another (simpler?) way to understand why these states are wasted is to recognize that the finite state machine is tracking two different pieces of information: first, how many points ahead player 1 is (since a player must win by 2 points) and second, how many points have been scored (since a player must score at least 4 points to win). Once enough points (4 or more) have been scored by either player, their absolute scores no longer matter. All that matters is the relative score: whether player 1 is ahead by 1, equal, or behind by 1. For example, we don't care if the score is 197 to 196 or 6 to 5: they are the same thing. Yet, early on, the FSA must also track the absolute scores, to ensure at least 4 points were scored by the winner. With the original 20-state FSA, the crossover between these two phases was what would have been "40 40" (each player scored 3 points). But in the minimal machine, the crossover became "30 30" (each player scored 2 points), which is safe since each player must still "win by 2" so if player 1 scores 2 points from "30 30", that means player 1 scored 4 points overall. FSA minimization saved only 3 states for the game of tennis, resulting in a 15% smaller automaton, and maybe this simplifies keeping track of scores in your games by a bit, but in other FSA applications in Lucene, such as the analyzing suggester, MemoryPostingsFormat and the terms index, minimization is vital since it saves substantial disk and RAM for Lucene applications! One of Lucene's useful transactional features is index durability which ensures that, once you successfully call IndexWriter.commit, even if the OS or JVM crashes or power is lost, or you kill -KILL your JVM process, after rebooting, the index will be intact (not corrupt) and will reflect the last successful commit before the crash. Of course, this only works if your hardware is healthy and your IO devices implement fsync properly (flush their write caches when asked by the OS). If you have data-loss issues, such as a silent bit-flipper in your memory, IO or CPU paths, thanks to the new end-to-end checksum feature (LUCENE-2446), available as of Lucene 4.8.0, Lucene will now detect that as well during indexing or CheckIndex. This is similar to the ZFS file system's block-level checksums, but not everyone uses ZFS yet (heh), and so Lucene now does its own checksum verification on top of the file system. Be sure to enable checksum verification during merge by calling IndexWriterConfig.setCheckIntegrityAtMerge. In the future we'd like to remove that option and always validate checksums on merge, and we've already done so for the default stored fields format in LUCENE-5580 and (soon) term vectors format in LUCENE-5602, as well as set up the low-level IO APIs so other codec components can do so as well, with LUCENE-5583, for Lucene 4.8.0. Under the hood, when you call IndexWriter.commit, Lucene gathers up all newly written filenames since the last commit, and invokes FileDescriptor.sync on each one to ensure all changes are moved to stable storage. At its heart, fsync is a complex operation, as the OS must flush any dirty pages associated with the specified file from its IO buffer cache, work with the underlying IO device(s) to ensure their write caches are also flushed, and also work with the file system to ensure its integrity is preserved. You can separately fsync the bytes or metadata for a file, and also the directory(ies) containing the file. This blog post is a good description of the challenges. Recently we've been scrutinizing these parts of Lucene, and all this attention has uncovered some exciting issues! In LUCENE-5570, to be fixed in Lucene 4.7.2, we discovered that the fsync implementation in our FSDirectory implementations is able to bring new 0-byte files into existence. This normally isn't a problem by itself, because IndexWriter shouldn't fsync a file that it didn't create. However, it exacerbates debugging when there is a bug in IndexWriter or in the application using Lucene (e.g., directly deleting index files that it shouldn't). In these cases it's confusing to discover these 0-byte files so much later, versus hitting a FileNotFoundException at the point when IndexWriter tried to fsync them. In LUCENE-5588, to be fixed in Lucene 4.8.0, we realized we must also fsync the directory holding the index, otherwise it's possible on an OS crash or power loss that the directory won't link to the newly created files or that you won't be able to find your file by its name. This is clearly important because Lucene lists the directory to locate all the commit points (segments_N files), and of course also opens files by their names. Since Lucene does not rely on file metadata like access time and modify time, it is tempting to use fdatasync (or FileChannel.force(false) from java) to fsync just the file's bytes. However, this is an optimization and at this point we're focusing on bugs. Furthermore, it's likely this won't be any faster since the metadata must still be sync'd by fdatasync if the file length has changed, which is always the case in Lucene since we only append to files when writing (we removed Indexoutput.seek in LUCENE-4399). In LUCENE-5574, to be fixed as of Lucene 4.7.2, we found that a near-real-time reader, on closing, could delete files even if the writer it was opened from has been closed. This is normally not a problem by itself, because Lucene is write-once (never writes to the same file name more than once), as long as you use Lucene's APIs and don't modify the index files yourself. However, if you implement your own index replication by copying files into the index, and if you don't first close your near-real-time readers, then it is possible closing them would remove the files you had just copied. During any given indexing session, Lucene writes many files and closes them, many files are deleted after being merged, etc., and only later, when the application finally calls IndexWriter.commit, will IndexWriter then re-open the newly created files in order to obtain a FileDescriptor so we can fsync them. This approach (closing the original file, and then opening it again later in order to sync), versus never closing the original file and syncing that same file handle you used for writing, is perhaps risky: the javadocs for FileDescriptor.sync are somewhat vague as to whether this approach is safe. However, when we check the documentation for fsync on Unix/Posix and FlushFileBuffers on Windows, they make it clear that this practice is fine, in that the open file descriptor is really only necessary to identify which file's buffers need to be sync'd. It's also hard to imagine an OS that would separately track which open file descriptors had made which changes to the file. Nevertheless, out of paranoia or an abundance of caution, we are also exploring a possible patch on LUCENE-3237 to fsync only the originally opened files. With all these complex layers in between your application's call to IndexWriter.commit and the laws of physics ensuring little magnets were flipped or a few electrons were moved into a tiny floating gate in a NAND cell, how can we reliably test that the whole series of abstractions is actually working? In Lucene's randomized testing framework we have a nice evil Directory implementation called MockDirectoryWrapper. It can do all sorts of nasty things like throw random exceptions, sometimes slow down opening, closing and writing of some files, refuse to delete still-open files (like Windows), refuse to close when there are still open files, etc. This has helped us find all sorts of fun bugs over time. Another thing it does on close is to simulate an OS crash or power loss by randomly corrupting any un-sycn'd files and then confirming the index is not corrupt. 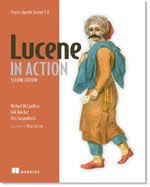 This is useful for catching Lucene bugs where we are failing to call fsync when we should, but it won't catch bugs in our implementation of sync in our FSDirectory classes, such as the frustrating LUCENE-3418 (first appeared in Lucene 3.1 and finally fixed in Lucene 3.4). So, to catch such bugs, I've created a basic test setup, making use of a simple Insteon on/off device, along with custom Python bindings I created long ago to interact with Insteon devices. I already use these devices all over my home for controlling lights and appliances, so also using this for Lucene is a nice intersection of two of my passions! The script loops forever, first updating the sources, compiling, checking the index for corruption, then kicking off an indexing run with some randomization in the settings, and finally, waiting a few minutes and then cutting power to the box. Then, it restores power, waits for the machine to be responsive again, and starts again. So far it's done 80 power cycles and no corruption yet. Good news! To "test the tester", I tried temporarily changing fsync to do nothing, and indeed after a couple iterations, the index became corrupt. So indeed the test setup seems to "work". 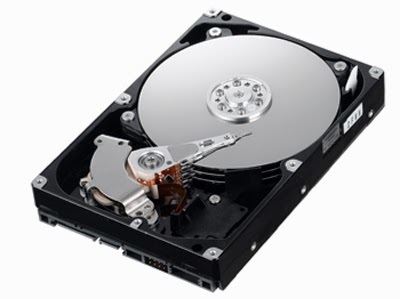 Currently the test uses Linux on a spinning magnets hard drive with the ext4 file system. This is just a start, but it's better than no proper testing for Lucene's fsync. Over time I hope to test different combinations of OS's, file systems, IO hardware, etc. Lucene's suggest module offers a number of fun auto-suggest implementations to give a user live search suggestions as they type each character into a search box. For example, WFSTCompletionLookup compiles all suggestions and their weights into a compact Finite State Transducer, enabling fast prefix lookup for basic suggestions. AnalyzingSuggester improves on this by using an Analyzer to normalize both the suggestions and the user's query so that trivial differences in whitespace, casing, stop-words, synonyms, as determined by the analyzer, do not prevent a suggestion from matching. Finally, AnalyzingInfixSuggester goes further by allowing infix matches so that words inside each suggestion (not just the prefix) can trigger a match. You can see this one action at the Lucene/Solr Jira search application (e.g., try "python") that I recently created to eat our own dog food. It is also the only suggester implementation so far that supports highlighting (this has proven challenging for the other suggesters). Yet, a common limitation to all of these suggesters is that they can only suggest from a finite set of previously built suggestions. This may not be a problem if your suggestions are past user queries and you have tons and tons of them (e.g., you are Google). Alternatively, if your universe of suggestions is inherently closed, such as the movie and show titles that Netflix's search will suggest, or all product names on an e-commerce site, then a closed set of suggestions is appropriate. For everyone else, where a high percentage of the incoming queries fall into the never-seen-before long tail, Lucene's newest suggester, FreeTextSuggester, can help! It uses the approach described in this Google blog post. Rather than precisely matching a previous suggestion, it builds up a simple statistical n-gram language model from all suggestions and looks at the last tokens (plus the prefix of whatever final token the user is typing, if present) to predict the most likely next token. For example, perhaps the user's query so far is: "flashforge 3d p", and because flashforge is an uncommon brand of 3D printer, this particular suggestion prefix was never added to the suggester. Yet, "3d printer" was a frequently seen phrase in other contexts (different brands). In this case, FreeTextSuggester will see "3d" and the "p" prefix for the next token and predict printer, even though "flashforge 3d printer" was never explicitly added as a suggestion. You specify the order (N) of the model when you create the suggester: larger values of N require more data to train properly but can make more accurate predictions. All lower order models are also built, so if you specify N=3, you will get trigrams, bigrams and unigrams, all compiled into a single weighted FST for maximum sharing of the text tokens. Of course, larger N will create much larger FSTs. In practice N=3 is the highest you should go, unless you have tons of both suggestions to train and RAM to hold the resulting FST. To handle sparse data, where a given context (the N-1 prior words) was not seen frequently enough to make accurate predictions, the suggester uses the stupid backoff language model (yes, this is really its name, and yes, it performs well!). I expect the best way to use this new FreeTextSuggester will be as a fallback: you would first use one of the existing exact match suggesters, but when those suggesters fail to find any suggestions for a given query, because it's "unusual" and has crossed over into the long tail, you then fall back to FreeTextSuggester. As usual, this feature is very new and likely to contain exciting bugs! See the Jira issue, LUCENE-5214, for details. If you play with this new suggester please start a discussion on the Lucene's user list! Such distance facets, which allow the user to quickly filter their search results to those that are close to their location, has become especially important lately since most searches are now from mobile smartphones. In the past, this has been challenging to implement because it's so dynamic and so costly: the facet counts depend on each user's location, and so cannot be cached and shared across users, and the underlying math for spatial distance is complex. But several recent Lucene improvements now make this surprisingly simple! Second, the Haversine distance function was added to the expressions module. The implementation uses impressively fast approximations to the normally costly trigonometric functions, poached in part from the Java Optimized Development Kit project, without sacrificing too much accuracy. It's unlikely the approximations will ever matter in practice, and there is an open issue to further improve the approximation. Suddenly, armed with these improvements, if you index latitude and longitude as DoubleDocValuesFields in each document, and you know the user's latitude/longitude location for each request, you can easily compute facet counts and offer drill-downs by any set of chosen distances. Instead of the hardwired latitude/longitude above, you should fill in the user's location. See the full source code here, from the lucene/demo module. When I first tested this example, there was a fun bug, and then later the facet APIs were overhauled, so you'll need to wait for the Lucene 4.7 release, or just use the current the 4.x sources, to get this example working. While this example is simple, and works correctly, there are some clear performance improvements that are possible, such as using a bounding box as a fast match to avoid computing Haversine for hits that are clearly outside of the range of possible drill-downs (patches welcome!). Even so, this is a nice step forward for Lucene's faceting and it's amazing that geospatial distance faceting with Lucene can be so simple.